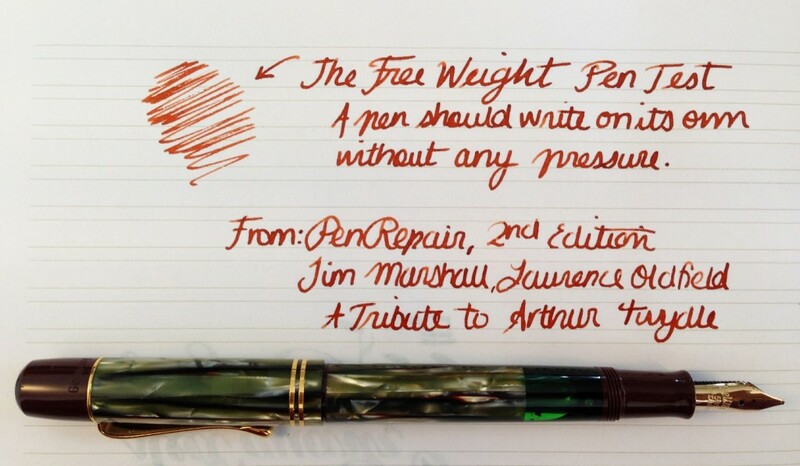 Complete with a modern Pelikan M101N Brown Tortoiseshell! I’ve tried this test on almost all my pens and have been surprised by how many have not passed. All the restored vintage pens passed. Yay!